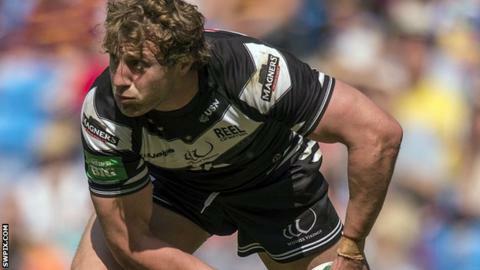 Widnes Vikings centre Chris Dean has signed a new three-year contract. The 26-year-old joined the club from Wakefield in 2012 after two previous loan spells with the Vikings. Dean, who began his career at St Helens, scored eight tries in his 27 appearances last term as they reached the play-offs for the first time. "He's as quick and as strong as anybody at the club and we are only just starting to see his consistency," said head coach Denis Betts. "Chris is an outstanding individual and is a great bloke to have around the place. "He's still only young and we feel we are only just scratching the surface with him."